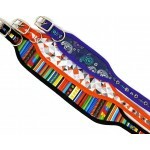 Wider width martingale style fabric collars, available in 40mm and 50mm widths. 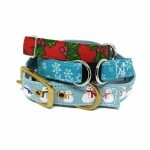 Choose fabri..
Christmas design fabric collars in 20-25mm width. Fabric outer with webbing core for strength. 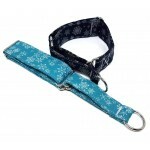 ..
Christmas design wear resistant collars. 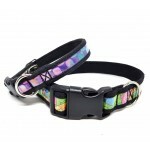 Available in regular collar styles (20 & 25mm widths.. Wear resistant collars in all collar styles. Made to measure Polypropylene webbing core f..
Fishtail style wide buckle collar for pointy dogs! Soft fleece lining for comfort, ideal ..